SELA replaced our siding and shingles a few years back so when it was time to replace all of our double hung windows we called SELA. They came out and we selected our window company, received a great deal, and were on our way. The windows were quickly brought to our waiting installers in the morning. They inspected all of the windows to make sure that they were all perfect before installing them. I bid my windows to a few company’s and decided to use Sela. There was no pressure when making this decision. They communicated with us every step of the way. The crew was top notch. I would definitely recommend them for those in the market for windows. You won’t be disappointed. FROM SKYLIGHTS TO THE BIG PICTURE, LET SELA INTRODUCE YOU TO A WHOLE NEW WORLD OF WINDOWS. CASEMENT, BOWS, BAYS, CRANK-OUTS, PATIO DOORS, AND MUCH MORE. Call us today at 612-924-1644 to discuss your window needs with a Sela representative, or simply fill out our online estimate request form here and we will contact you directly. 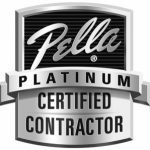 Call us today at (612) 823-8046 to discuss your Window project needs with a Sela representative, or simply fill out our free estimate request here and we will contact you directly.